If you are considering purchasing one of the new MacBook Pro laptops, you may be interested in a new 13 port Thunderbolt 3 dock which has been unveiled by OWC this week. The OWC Thunderbolt 3 Dock is currently available for pre-order at MacSales.com and other authorised resellers of OWC for $279 with shipping expected to take place during February 2017. 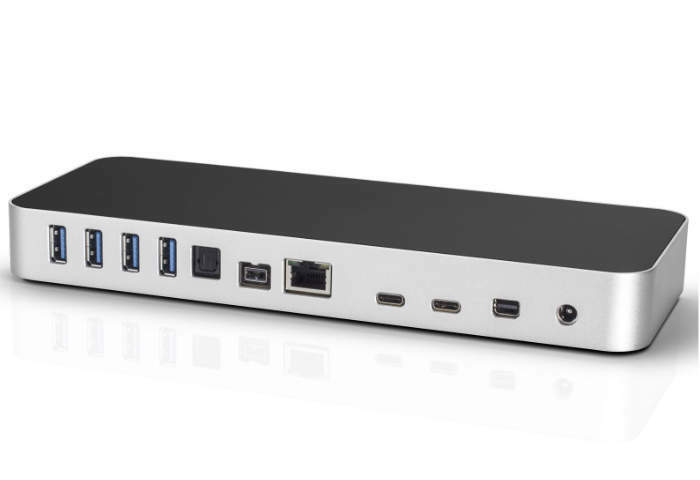 The Thunderbolt 3 Dock offers a throughput up to 40Gb/s and is equipped with 13 ports offering the ability to charge mobile devices, connect multiple 4K displays, add external storage which includes legacy support for devices such as FireWire drives. 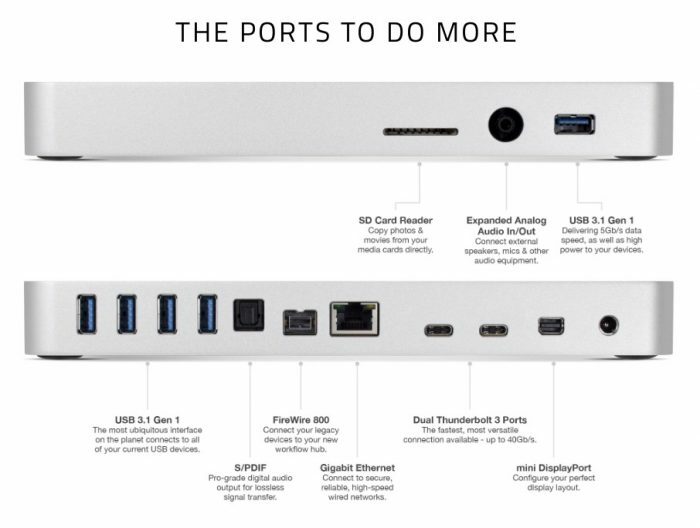 With our critically-acclaimed Thunderbolt 2 Dock and USB-C Dock, OWC defined a new standard in providing more connectivity at a time when new computers were shipping with fewer ports. The all-new Thunderbolt 3 Dock is the best expansion solution we’ve ever made, offering the incredible speed of Thunderbolt 3 technology coupled with 13 ports of connectivity, perfect for getting the most out of the new 2016 MacBook Pro.